Frizzy Hair seems to be the stress of every curly girl’s everyday life, especially in the summer months when humidity levels are high. We are often asked about products and techniques to eliminate frizzy hair. 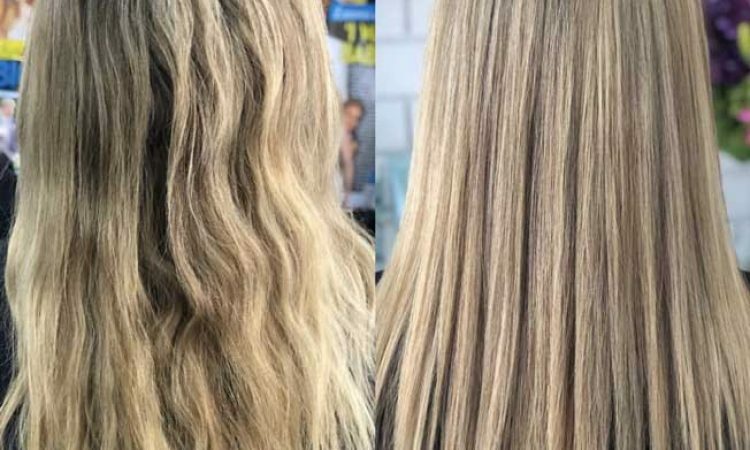 Below the girls at Kleoniki Hair have listed some tips on how to manage your hair and enjoy the warmer weather free free and looking your best! Why the frizzy hair ? You will experience frizzy hair when the cuticle layer of your hair is raised, allowing moisture to pass through and swell the strands. As a result, your hair appears dry and frizzy instead of smooth and defined. Normally, curly hair tends to have more frizz than straight hair because of dehydration in the strands, which leaves it more exposed to frizzing. • You are not drinking enough water and don’t have a healthy diet. • You are sleeping with dry materials , which silk or satin accessories can help. • The oil your scalp naturally secretes is not making it down the strands of hair after washing. • You are not conditioning often enough, or with the right types of products for your porosity level. • Your shampoo is drying your hair. • Your protein to moisture balance is unbalanced; you are using too much protein without enough moisture. • Your oils and moisturizers of choice are not penetrating the hair shaft. • Medications you are taking are causing changes in your body that affect your hair. Kleoniki Hair offers a Smoothen range of products which control curly, unmanageable, rebellious and coarse hair. With the secret ingredients of avocado oil, cashmere extract and softening polymers , the smoothen line actively nourishes the hair, balances the hydro lipid proﬁle and protects the hair from further drying out. Our valued clients will experience enriched hair with a smoother surface, easier manageability and silky shine and most importantly will take away the stress to enjoy the sun with smooth and healthy hair. We recommend for maintaining your frizzy hair. COME VISIT US WE’RE LOCAL HAPMTON HAIR CUTTING EXPERTS.